¤ Zeolite powder is natural chelator of heavy metals : lead, cadmium, mercury and nickel. It can therefore be used alongside EDTA. It can also bind to other pollutants and microbes and facilitate their elimination from the body. 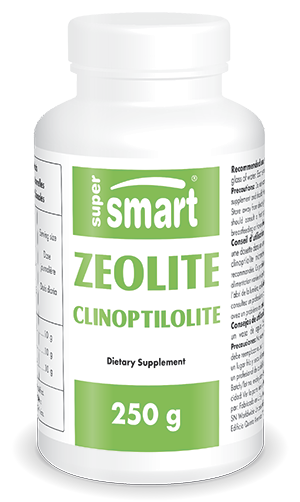 Along with zeolite clinoptilolite, other heavy metal chelators are available to purchase from the SuperSmart catalogue such as EDTA. For an optimal body detox, you may also be interested in Humic & Fulvic Acids. Combining fulvic and humic acids, the composition of this supplement is based on a formulation from traditional Indian medicine.